With the US Open Tennis Championship on the roll, we looked back at an interview by Kate Meyers for Parade Magazine with 2 legendary female tennis players Martina Navrotilova's and Chris Evert. These sports rivalries were well known for their on-and-off off-court friendship. Can professional rivals be friends? Is competition unhealthy to friendship? 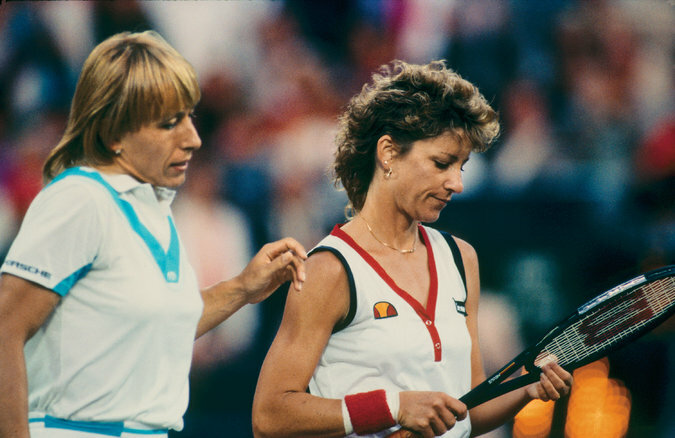 Looking back at this honest conversation between Chris Evert and Martina Navrotilova, we conclude that friendship is a peculiar phenomenon that will help see us through the thick and thin in life, even professional rivalry. 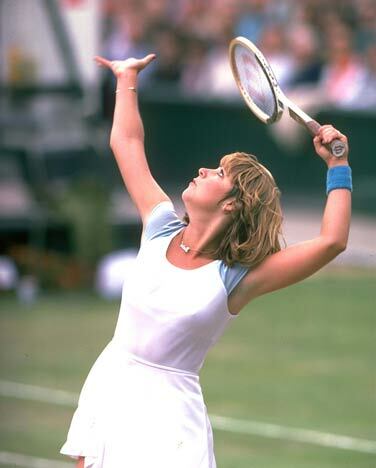 When Chris Evert and Martina Navratilova’s athletic entanglement began, one was an unflappable American who commanded the baseline; the other a volatile Czech prodigy who liked to rush the net. From 1973 through 1988, the two battled 80 times—including in 60 finals. 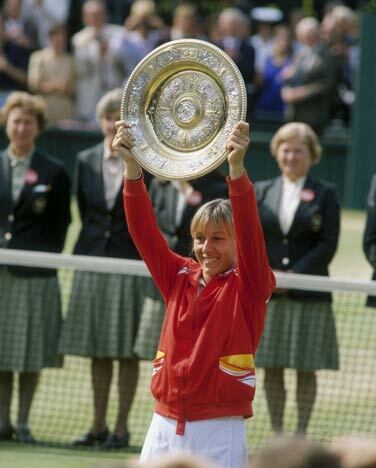 Each captured 18 Grand Slam singles trophies: Navratilova dominated Wimbledon, where she holds a record nine singles titles, and Evert commanded the French and U.S. Opens with seven and six titles respectively. As they reveal in the documentary Unmatched, premiering on ESPN on Sept. 14, the two were more than intense on-court adversaries. They became friends early on, and ever since have supported each other through a multitude of struggles—most recently, the collapse of Evert’s third marriage to golfer Greg Norman and Navratilova’s breast-cancer diagnosis in February. Earlier this month, Evert, 55, and Navratilova, 53, got together to discuss some of their defining moments—and what still motivates them. What makes this friendship unique? Chris Evert We’ve been through so much history, so many layers of emotions. We were such opposites, it enabled us to get closer. She has my back; I have hers. I think people forget that we were left alone in the locker room every Sunday after we played final matches, and one of us would be crying and the other would be comforting—nobody saw that. 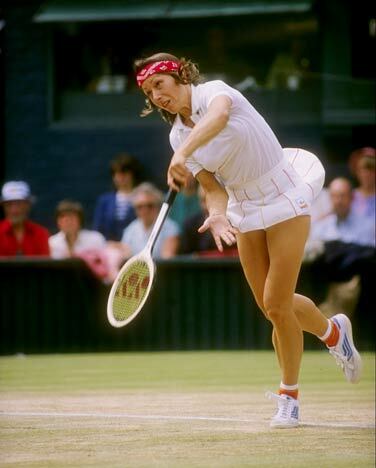 Martina Navratilova You always had to guard yourself because you didn’t want to be too destroyed when you lost or too gloating when you won, because you didn’t want to upset the other person. Now we don’t have to guard anything. Martina, Chris has said you’re a softie and called you a kitten. So what’s Chris? Martina She’s a cougar. Not in the way they talk about it now, but in that she’s very protective of her friends and family. It’s funny—she’s opened up, and I’m not nearly as open as I once was about my life. Chris I let it all out now. Chris, you’ve said that you couldn’t believe it when Martina would cry on the court, but were you also a little envious? Chris Part of me admired that she could just let it out for the whole world to see. The closest I came was at the ’85 French Open. I was so happy, and I was thinking, “How come the tears aren’t coming?” But I was so conditioned, they just wouldn’t. Martina I always admired Chris’s ability to control herself. Because I couldn’t. Martina, how do you feel about Chris now? Chris [laughing] She wishes I had more control… Martina I just want her to be happy. Chris That was sweet. Thank you. I will one day. I’m getting there. You two have what is arguably the greatest rivalry in sports history. You faced each other 80 times. What were you thinking when you looked across the net? Chris In the beginning, I had the edge because Martina hadn’t got herself 100% fit, and she was still emotional on the court. I felt I just had to be mentally tough. In the middle, I was like, “Aww, geez,” because as soon as she got herself fit, that helped her mentally. And then at the end, I think it was a little more even. What is it that you both have that champions need? Chris The mental part of my game. A lot of players were faster and stronger, but I think being able to just zero in and focus was my strength. Martina I think the ability to fail. Not being afraid to put it all on the line and come up short. Most people don’t have that. Chris, you’ve said there was a point where you walked onto the court thinking you weren’t going to win— Chris That was when I lost 13 times in a row over a two-and-a-half-year period—when Martina was invincible. She lost six matches in three years. Martina Again, I think that speaks for Chris. A lot of people would have quit, but then she goes and wins the French Open twice. They write her off, and she comes back and wins a couple of majors. So you always wanted to beat her at her best? Martina That’s what it’s about. I’ve always said that, and people don’t believe me. Chris And God love her. Here’s an example: When my first marriage was ending, I was kind of down, and Martina said, “Come on up to Aspen” and taught me how to ski. We would ski from 9 to 2, play tennis for two hours, then be in the gym for two hours—and she showed me what she was doing with weights. We did this for a week. Not many people who are No. 1 and No. 2 competitors would do that. When Martina went off to play the Australian Open, you stayed behind and fell in love with Andy Mill, who became your second husband. Chris He was so cute. He woke up and said, “I can’t believe I slept with Chris Evert in Martina Navratilova’s bedroom!” Martina was responsible for me meeting him, and he and I had a great 20 years, so I feel like I’m not a total failure in life! Did you ever have a low moment on the court when you were angry at each other? Chris Never. No. Martina Uh-uh. Chris Even when she was killing me, when I couldn’t even look at her and all I wanted to do was get off the court. But we’re not nasty people. Martina We never played games. If I yelled at the linesman, it was because I wanted that call then and there—not the next one. And Chris was very buttoned-up. We knew that whoever was going to play better tennis that day was going to win; there wasn’t going to be any [expletive] in between points. What’s different about women’s tennis today? Chris I think the game is tougher now because there’s more depth. It’s really quite an achievement to win more than one Grand Slam title a year, because from the second round in, the matches are tough. In our day we really didn’t have a contest until the quarterfinals. Is there anything that players have now that you wish you had? Chris Probably a bigger serve. I mean, I was one of the greatest players who ever won Wimbledon who didn’t have a serve! [laughs] How do you like that? All they talk about now is Serena Williams’ serve and that she wins three points a game on her serve. I had to work. I had to fight for my points. What effect did the rivalry have on your careers? Martina It made them longer and better, made us into better tennis players. I don’t think either of us would have lasted as long without the other. Chris It gave us inspiration and a lot of incentive to work harder and try to continue to improve. Retiring as a pro athlete is said to be a hard thing. Did you two commiserate? Chris I went from retiring to getting married and having three kids, so I went from one high to another high. Now it’s hitting me. We’ve both been to therapy, because you have the highs and the lows, but life is really in between, and it’s about trying to find that balance to live in the middle. That’s why I think we’re going to have a lot to talk about over the next 20 years. You’re both strong women. Is it hard to find someone who can match that strength? Martina It’s difficult. And then when you do— Chris You clash. You have two people with big lives like I just had, and it’s not going to work. It’s very hard. Martina I’ve always wanted a partner. I’m okay by myself, but I’d just rather be with someone. Chris What’s the longest time you’ve ever been alone? Martina A year, a couple of times. You’re not alone now? Martina No. I’m seeing somebody but slowly, not rushing. Chris I’m not getting within 20 feet of a married man ever again—not even talking to one! That’s why it’s so good you have each other. Martina Always.